Have you ever found yourself in a situation where you needed to adjust your thinking? I’ve been there more times than I would like to admit. 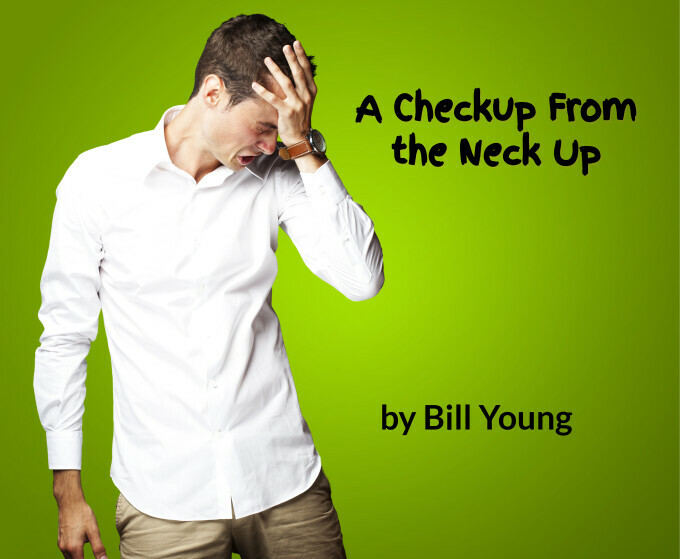 I had a great pastor when I was a young man who often would use the phrase “you need a check up from the neck up”. I certainly knew what he meant, an adjustment in thinking. Such was the case in the gospel of John when in chapter four, a nobleman approached Jesus in Cana to heal his son in Capernaum because he was sick and at the point of death. Capernaum was a good 15 to 20 miles away. After this man’s desperate request, Jesus response was “except you see signs and wonders you will not believe”. It almost sounds like Jesus was having a cranky moment considering the seriousness of the request or at best he appears to be quite insensitive to this man’s desperate situation. I assure you that neither were the case. Jesus, unlike many people today, had no problem telling the truth and at times said things in such a way that seemed harsh but were necessary in getting people to adjust their thinking. I truly believe Jesus was repeating to this prominent man words that had come out of his own mouth. Perhaps while discussing what people had seen, heard and said about Jesus he retorted, as many of us have done, “I’ll believe it when I see it”. Now, in an hour of desperation, he seeks out Jesus for a miracle. Jesus calmly told him to “go home, your son lives. The scriptures tell us he believed the word that was spoken and his son began to improve before he got home. This man made the adjustment and learned that seeing is not believing. Seeing knows whereas believing trusts without the benefit of seeing. This man had a life changing encounter with God and learned a very important lesson about real faith. Regardless of the challenges you may face in life, be determined never to become cynical but rather, keep believing.